In all of our time in Charlottesville, there is no culinary experience we have enjoyed more than Ciboulette, the much-missed gourmet shop and eatery that closed in 2006. Sure, service could be spotty, but the food was magnificent. We were so fond of Ciboulette that its last lunch menu still hangs in a frame on our kitchen wall. The genius behind Ciboulette’s food was Jose De Brito, who has since kept busy with stops at Hot Cakes and Fleurie. All the while, his devotees have hoped he might return to a venue where he could again let loose. Thanks to restaurateur Will Richey, he may have found one. Richey has snagged De Brito as chef of his new lounge, The Alley Light, set to open next week. With Revolutionary Soup, The Whiskey Jar, and The Wine Guild under his belt, Richey seems to have a knack for creating successful food and drink businesses. His latest venture began as an idea for somewhere he and his wife could go out to talk. In contrast to the many loud, bustling bars around town, Richey wanted a quiet, intimate hideaway for conversation. The understated, elegant, dimly lit room he has created above Revolutionary Soup on the Downtown Mall is intended to fill that void. As initially conceived, Richey wasn’t even sure if his “club room,” as he calls it, would serve food. But, when he ran into De Brito at a party last year, the two discussed De Brito coming on board as well. De Brito had long respected Richey as one of the good people in the industry, and was impressed by Richey’s vision for his new place: “convivial plates, top ingredients, a relaxed atmosphere, fairly priced, great cocktails and wines, and a changing menu,” as De Brito recalls it. De Brito also relished the opportunity to use produce and livestock from Richey’s own farm, where he lives. Familiar with De Brito’s talent, Richey has given him virtual carte blanche in the kitchen. But, he hasn’t given him a stove. So, De Brito plans to preserve, stew, braise, pot, salt, brine, jar, pickle, confit, papillote, or even not cook his food at all. While the offerings will change often, a tentative opening menu includes small plates like cured cod gratin with olive oil, greens, and toast points ($9), and french green beans with grated foie gras and almond-shallot vinaigrette ($12). There are also platters of chracuterie intended for sharing, one from land and another from sea. Among the land selections may be rabbit rillette with tomato confit and olives, or a terrine of veal, foie gras, and sweetbreads, with pear and blackberry preserves. From the sea, there might be salmon rillette, scallop boudin, or squid and rice sausage. If the food we sampled is any indication, De Brito’s fans will not be disappointed. An amuse bouche of escargot was reminiscent of Ciboulette’s famous escargot sandwich, while a dish of beef tartare with capers, shallots, and pastured eggs likewise brought back fond memories. And, the star of the night may have been braised and roasted pork belly, with bite-sized spheres of apple, and frisee in an acidic dressing. The parts complemented themselves so well that we imagined scooping them all up and stuffing them into a baguette for a perfect sandwich. The wine is both well priced and well chosen, thanks to Richey, himself. As members of The Wine Guild know, he is one of the area’s biggest oenophiles, with a passion for affordable, lesser-known wines. Manning the bar will be Micah LeMon, one of the top mixologists in town. A former manager of the bars of Blue Light Grill and Pasture, LeMon also writes about spirits for C-VILLE. 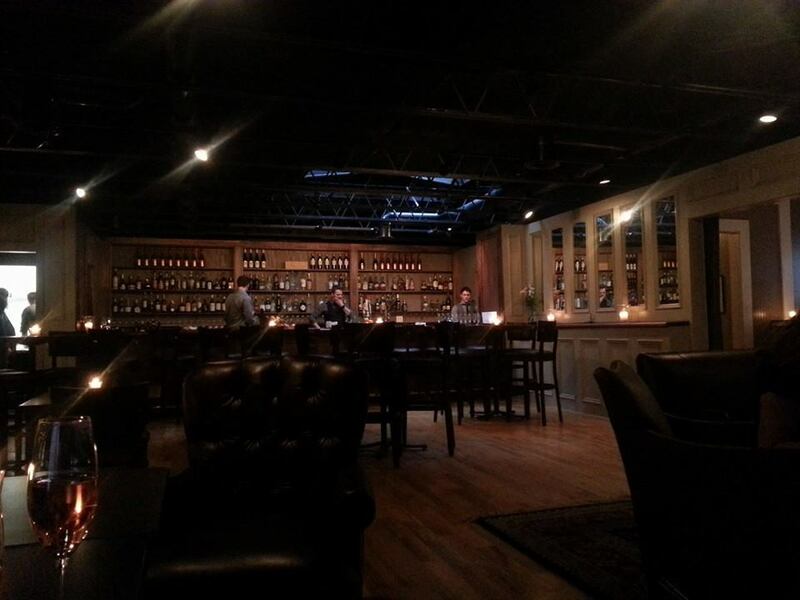 At The Alley Light, he plans a bitters program, along with lists of top rums, gins, brandies, and amaros, among others. He’s even got a cocktail carbonator. As for his cocktails, his aim is to “be attentive to detail and technique.” On our visit, we resisted classics like an Astoria, Manhattan, and Sazerac in favor of a tasty house creation, “The Boy Who Cried Wolf,” with Barr Hill gin, house lime cordial, and hopped citrus bitters. 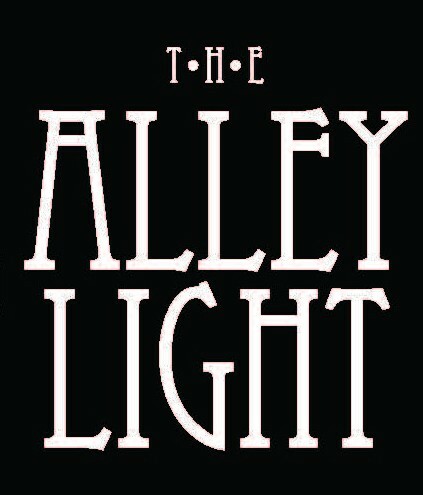 The Alley Light officially opens Wednesday, February 12. Hours will be Wed-Sat, from 5 pm to midnight, and Sunday from 5 pm – 10 pm.